ns27.3v0.net, and ns28.3v0.net are its DNS Nameservers. Its web server is located at Customer Range (England, Berkshire.) 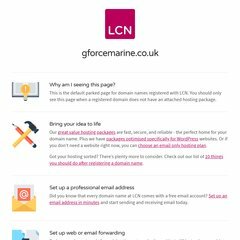 Gforcemarine.co.uk's server IP number is 213.229.86.50.